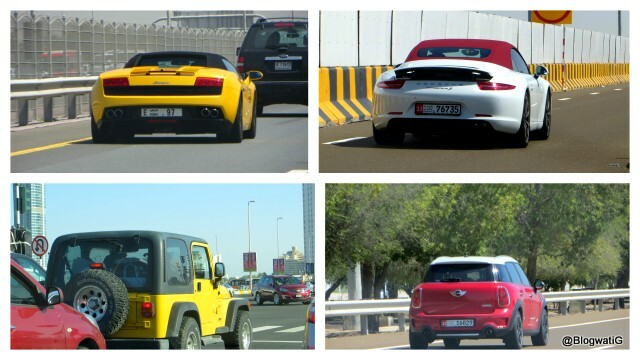 The one thing that you just cannot miss on the roads of the UAE are the sets of wheels that pass you by. Back home, we’d probably see them once in a blue moon, but here they are like the average Joe. Every minute you have a big guy that just drives by. Benefits of being in a petroleum abundant country, I guess. Smooth yet monitored roads, efficient traffic control and strict laws ensure that these beauties remain a thing of joy forever. There are these other set of wheels whose picture I didn’t get, the desi bikes. There are mini versions of our decked up trucks, yes, with the festoons, lights, and music in place. Loud and obnoxious, they do make for an interesting sight, though. If ever you are in the vicinity, check them out! Maybe you can hitch a ride too?